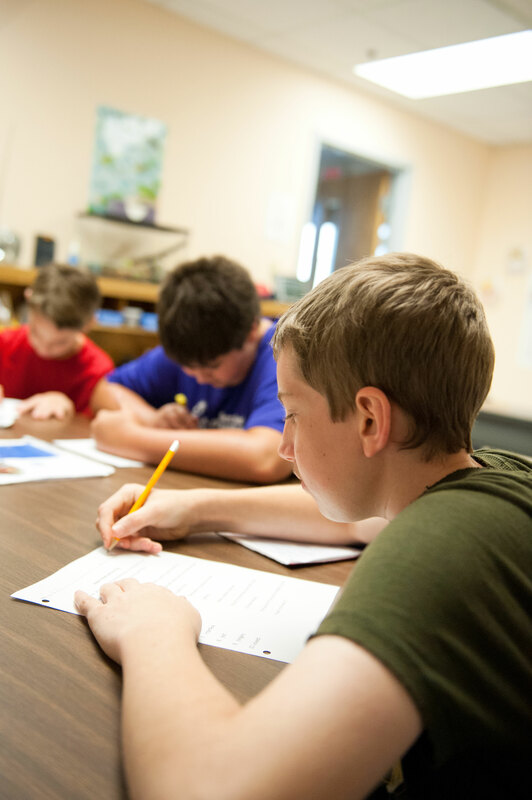 The STARS Program is open to students who have various learning needs such as learning disabilities, inclusive of dyslexia, ADHD and dysgraphia, as well as students with Asperger’s Syndrome. We provide a structured, multi-sensory, phonetic approach to learning in a classroom environment that promotes confidence and self-esteem. The individual instruction, with a 5:1 student-faculty ratio, allows students from Kindergarten through Ninth grade to acquire the necessary skills and tools to become successful students. Students in our high school program spend part of their day working on academic skills mandated by their IEP or IIP, and part of their day working on community based programs and daily living skills. Examples include swimming, working at CiCi’s Pizza, volunteering at the Rescue Mission, working at, as well as “working out” at the YMCA, stocking inventory for a local church, grocery shopping, cooking, laundry, etc. Our teachers are directly trained in and utilize the Orton-Gillingham approach to teaching. It is phonetically based and multi-sensory. Thus, a child learns phonics in a very structured, sequential manner, using all his senses simultaneously; visual, auditory, kinesthetic and tactile. Each child is allowed to learn at his own pace and receives intensive, individualized instruction daily. This highly-structured program serves as an intervention program in which a child stays as long as it takes to remediate his skills to the point where he or she is successful. The goal of the BRAAC is to return the student to the mainstream prepared and capable of being successful in the regular classroom. BRAAC is an inclusive model school; open to enrolling typically developing home schooled students who are accepting of those with special learning needs and whose parents wish for them to have a smaller classroom experience where students can move at a faster pace, receive a lot of individualized teaching and appreciate a strong value system. Please call us for more information.